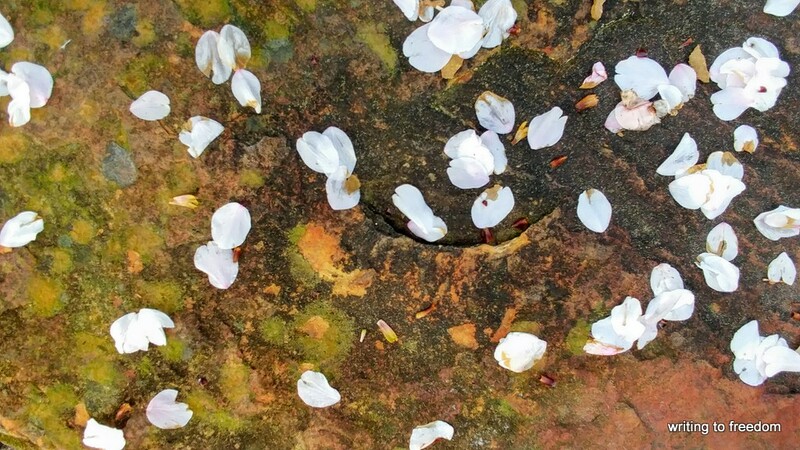 It was magical to see the blanket of petals all over the ground and rock walls. A lovely and descriptive haiku, Brad. Thank you Robbie. 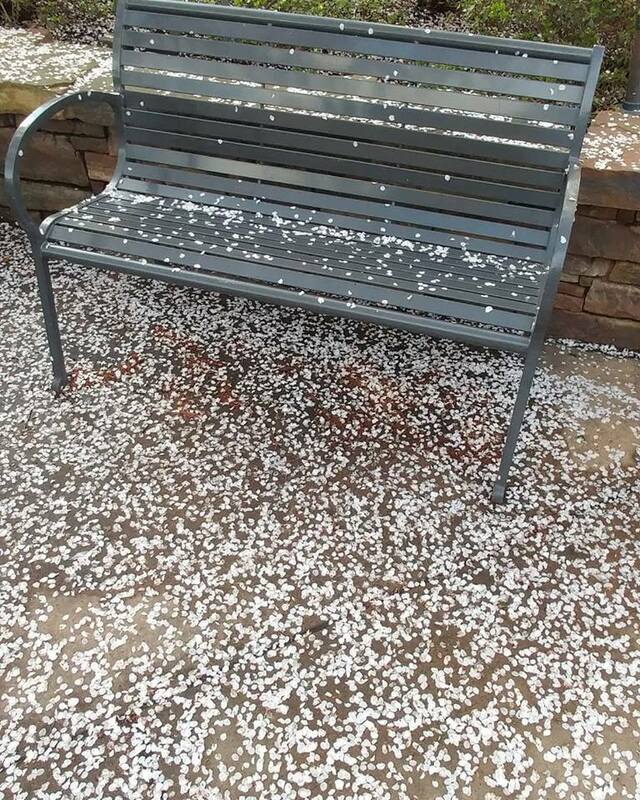 The cherry blossoms made such a beautiful blanket all over the ground and rocks. My pleasure. I enjoy yours and many other bloggers’ posts too. Thank you Luisa and welcome. Thanks Himali. Fayetteville in NW Arkansas. Yes, it’s a pretty nice town and area. I remember your posts from a year or two back when you said you are moving cities and relocating! I’ve often thought about moving, but have lived here for 24 years. Maybe you’re thinking of my frequent moves across town in the last few years since selling my house. Beautiful like little confettis. Like a carpet of blossoms. Exactly! It was a beautiful and magical sight! Yes absolutely and such beautiful flowers. Very beautiful! 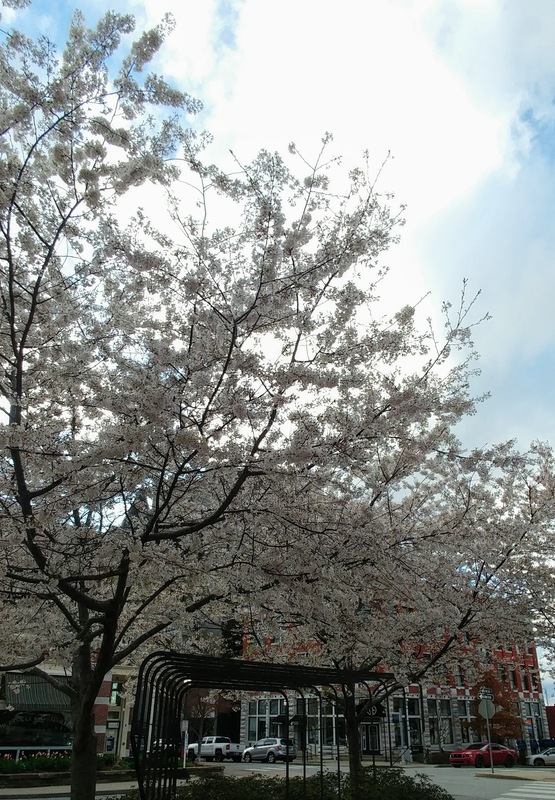 Cherry blossoms are my favorite. Thanks Robin. I love them too! I like the capture with the moss ☺️ it’s fuzzy! Thanks. It was a wonderful contrast and “painting” courtesy of nature.